It comes but once a year, but you don’t have to go hungry after paying your taxes on April 18. These food deals will keep your tummy and your wallet happy, whether you’re saving your return for something special or had to shell out the big bucks. Buy a 32 oz. drink and bag of chips, get a small The Original® sandwich for free at Schlotzsky’s on tax day. 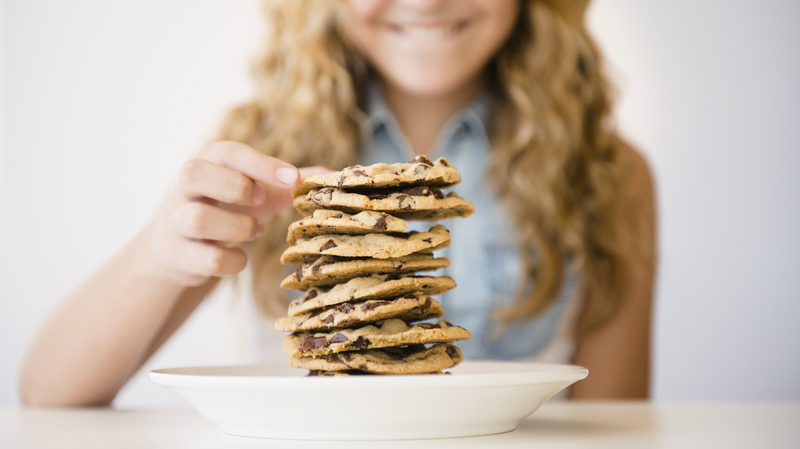 For the fourth year in a row, customers can get a free chocolate chip cookie at Great American Cookie on April 18. Take advantage of Bruegger’s Bagels’ annual Big Bagel Bundle special — two tubs of cream cheese and a baker’s dozen of bagels for $10.40 — from April 15 to 18. Get your Bruegger’s Bagels coupon online. Get a coupon for 18 percent off your meal on April 18 at Buca di Beppo. Kids can eat free with the purchase of one entree at Noodles & Company on tax day. They’re also offering a coupon for $4 off online orders of $10 or more with code TAXDAY, from April 11 to 18. 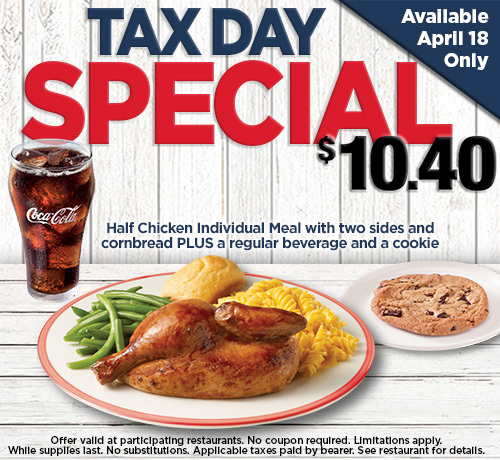 Get a half-chicken individual meal with two sides, cornbread, a beverage and a cookie for $10.40 at Boston Market on April 18. Sing a song on stage at the Hard Rock Cafe on April 18, and get a Legendary Burger for free. Get a free medium Curly Fries at Jack in the Box with any menu item purchase through April 18. Get free shaved ice on Kona Ice’s “National Chill Out Day,” which falls on tax day every year. Sign up for Tony Roma’s email club and get a coupon for free dessert on April 18.